Team having expertise and experience in their domain came together to provide excellent IT services to Client. 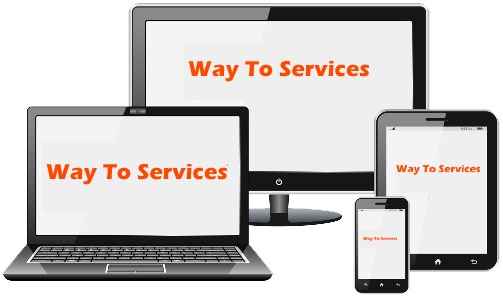 We provide follwing services Website Designing, Software and web application development, Web Hosting, Domain Registration, Computer Sales and services, SEO (Search Engine Optimization) provide AMC to variance services. Hurry Up!!! Create your website at low price, it include website designing, Domain Registration, Web Hosting and support for that website. We Develop all type of Softwares, Web applications as per the customer requirements. We design all type of creative websites as per the customer requirements. We provide web hosting solution for Windows and Linux platform. We help your website to achive top result in Search Engines through effective SEO. We sale all branded and assembled computers, laptops, computer accessories. Also offer AMC to various services. Copyright © 2014, Way To Services. All Rights Reserved.